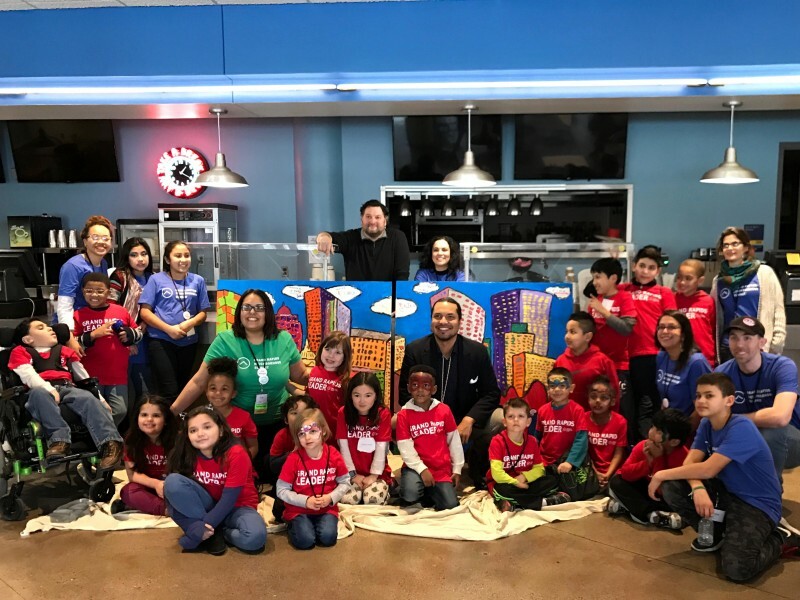 The Grand Rapids Neighborhood Summit hosted its first Kids Summit on March 4, 2017. 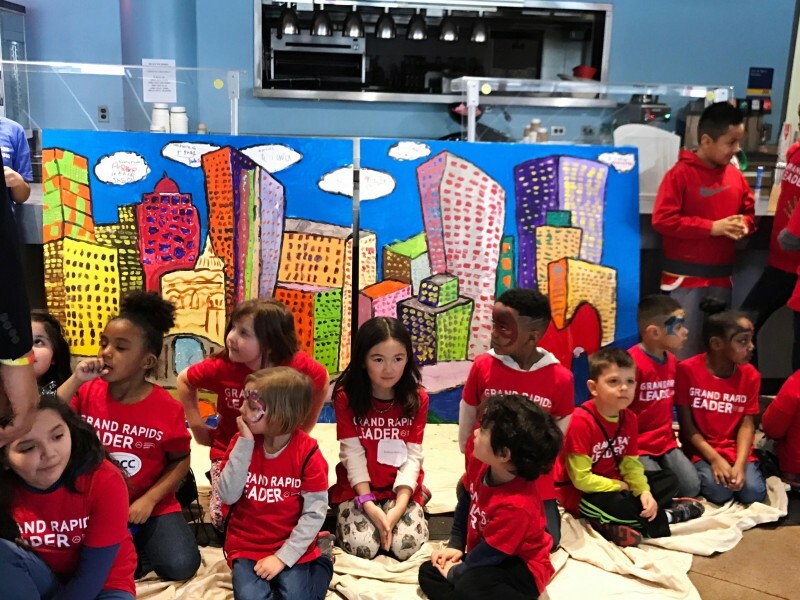 The Kids Summit attendees, in partnership with Richard App Gallery, created of mural of Grand Rapids to be displayed downtown at City Hall. 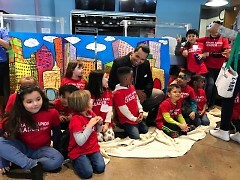 One young Kids Summit attendee, six year old Isaiah told App, “"I love this, I can paint all day!" and App responded, "Me too! You and I are going to get along great!" Richard App, owner of Richard App Gallery said, "I think there's a really neat freedom that kids get when they do art projects. I kind of go with the idea that there's nothing wrong when you're doing a piece. If it's not the color you want or the brush strokes you want, all of that's correctable. I probably have as much fun as they do, maybe more. I think the mural's a really cool reminder of the Summit and pretty vibrant piece that the city can enjoy." 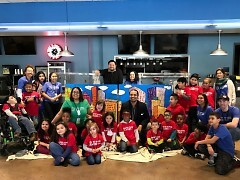 The children were super excited about creating the mural, according to Soto. “They each took turns painting different sections and when they were done, signed each of their names in the cloud sections. App added, "The older we get, the more we worry about staying in the lines and kids have this beautiful freedom where they see it the way they see it. You can see it in the windows of the piece and the colors that they chose. Kids see things a lot of time for the first time and that's pretty awesome." 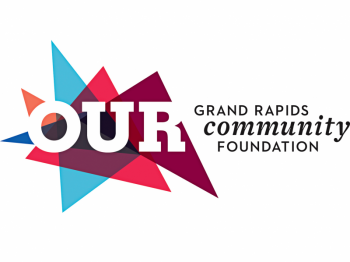 Each child who attended Kids Summit received a red T-shirt with the words “Grand Rapids Leader” on it. Soto emphasized that the Summit team wanted the kids to know that they respect their leadership already. 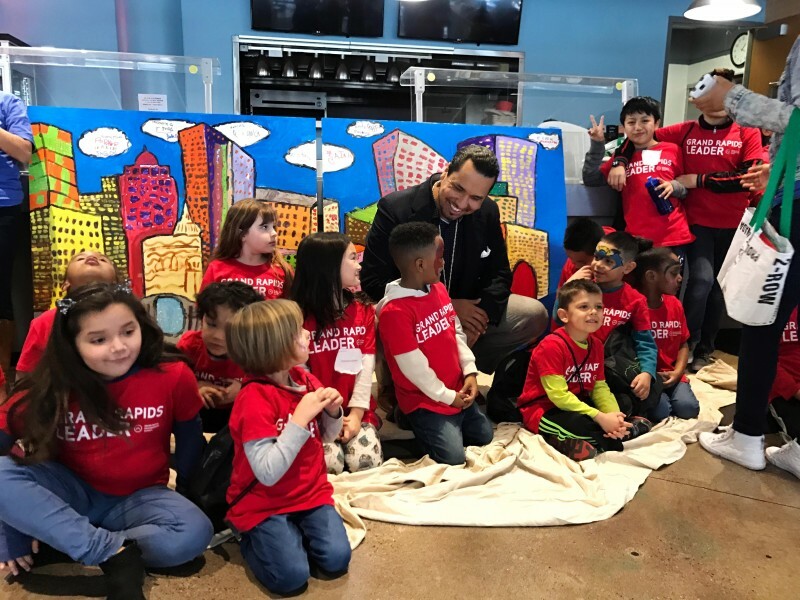 “It's so exciting to know that all of the children who participated, including my own, were able to leave their mark as future Grand Rapids leaders, in our very own City hall, for years to come,” said Soto.